Pak Suzuki is a well-known automobile manufacturer in Pakistan, which is recognized among its customers for manufacturing state of the art automobiles. There are many people who prefer to buy Suzuki cars as they are available at competitive prices as compared to other known automotive brand automobiles in the country. Just like 2018, the upcoming year 2019 is also expected to be a successful year for the company as well as its vast range of automobile lineup. Here in this blog, I will be discussing the top 5 Suzuki cars that the consumers should prefer to buy in 2019. It is because just like 2018 these below mentioned top 5 Suzuki cars will also be equipped with innovative features and specs. Suzuki Mehran 2019 price in Pakistan is yet to be confirmed by the Pak Suzuki officials, but as per the rumors in the automotive industry regarding Suzuki Mehran price is that it will be from Rs.7,69,000 to Rs.8,40,000 depending on the variant. Just like its previous model, this upcoming Suzuki Mehran 2019 will be available in four variants which include VX, VX CNG, VXR, and VXR CNG. Suzuki Mehran 2019 exterior is expected to be featuring a box-like design language. At the front of this hatchback automobile, you get to see trapezium shaped headlights, standard black bumpers, and a chrome grille which features multiple rectangular openings on one side and sealed on the other. At the rear, you get to see slightly angular squared shaped taillights, standard black rear bumper, and a standard hatchback. In the high-end variants which are VXR and VXR CNG, you get to see body color match front and rear bumpers along with full wheel covers. The overall exterior of this upcoming Mehran 2019 features a minimalistic and restrained design language which is mostly seen in many other hatchback cars. 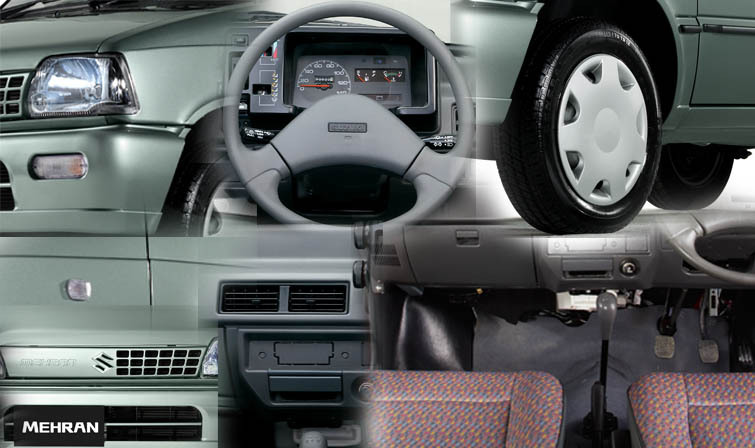 The interior of Suzuki Mehran features grey tone plastic trim pieces. Suzuki Mehran interior is minimalistic as many aspects of this hatchback by Suzuki are left exposed and windows including seat adjustments are manually operated. The standard interior features which are seen in this car include steering adjustments, rear seat belts, and central locking. The rear and front seats are covered with vinyl. The other features which are seen in this car include the heater, air conditioning and fabric seats only in VXR variants. The overall interior of this hatchback lacks interior space both at rear and front. Moreover, it also lacks interior refinement and comfort level. The upcoming Suzuki Mehran 2019 is going to be powered with 0.8-liter OHC inline-3 6 Valve engine which has the capability to produce 39bhp at 5500rpm and a torque of 59NM at 3000rpm. The engine is mated to 4-speed manual transmission. This engine will allow it to give a fuel economy of 10-13kmpl. Suzuki Cultus 2019 price in Pakistan is not officially confirmed yet by Suzuki Pakistan officials. Though, as per the fan-made expectations regarding Suzuki Cultus price is that it will be around Rs.13,40,000 to Rs.15,70,000 depending on the variant you prefer to buy. This hatchback by Pak Suzuki is going to be launched in two variants which include VXR and VXL. The VXL variant will be coming with features like power windows, fog lights, ABS braking system, airbags, and power steering while some of the features will be shredded in its VXR variant. Suzuki Cultus 2019 will be featuring a compact hatchback design language. At the front, you get to see angularly shaped chrome grille which is nestled between sleek headlights and standard circular shaped fog lights. At the rear, you get to see trapezium shaped upswept stacked taillights and a standard hatchback tailgate. The overall exterior of this upcoming hatchback by Suzuki Pakistan is innovative and well-proportioned as compared to other brand hatchbacks available in the country. 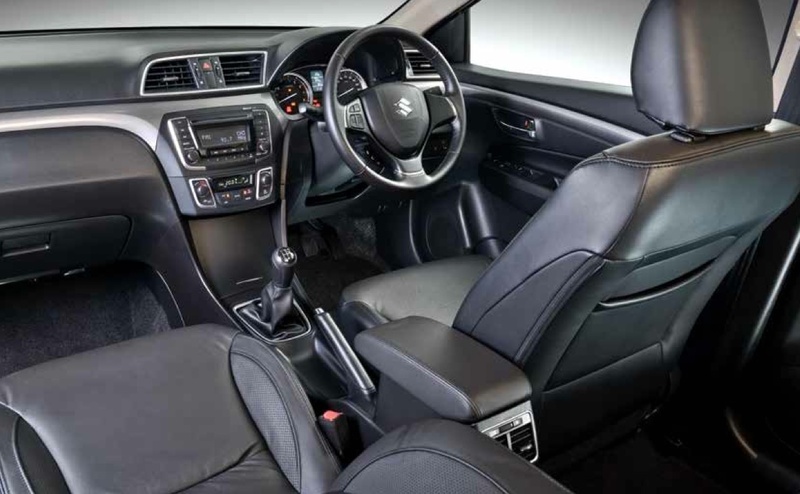 Suzuki Cultus 2019 interior will be featuring standard black color fabric. 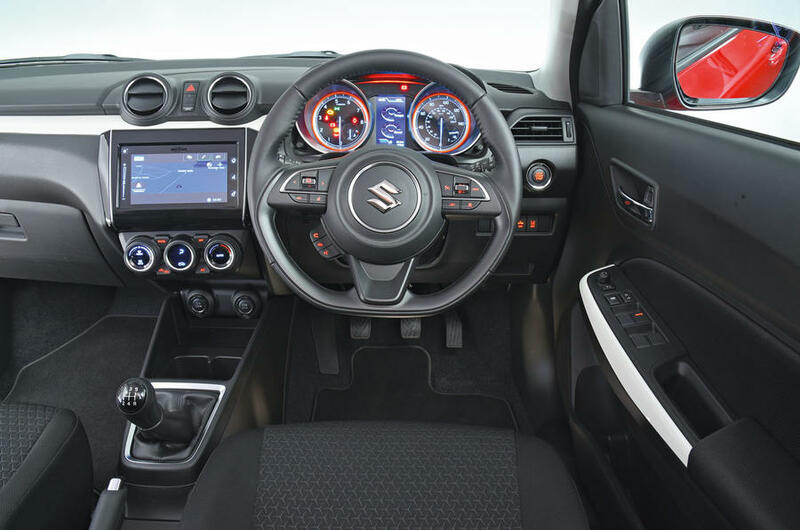 It is going to be highly poised and will be fulfilling all the basic needs of a family hatchback car by Suzuki. The standard interior features which will be seen in this hatchback include dual front airbags, power windows, power steering, CD player with AUX and USB slot. The overall interior of this hatchback is practical and spacious. Suzuki Cultus is going to be powered with 1.0-kiter 12 Valve SOHC engine which will have the capability to produce 50bhp at 6000rpm and a torque of 90NM at 3500rpm. The engine is mated to 4-speed manual transmission. The fuel mileage of this hatchback is expected to be 18-19kmpl in city limits and 20-22kmpl on a highway. 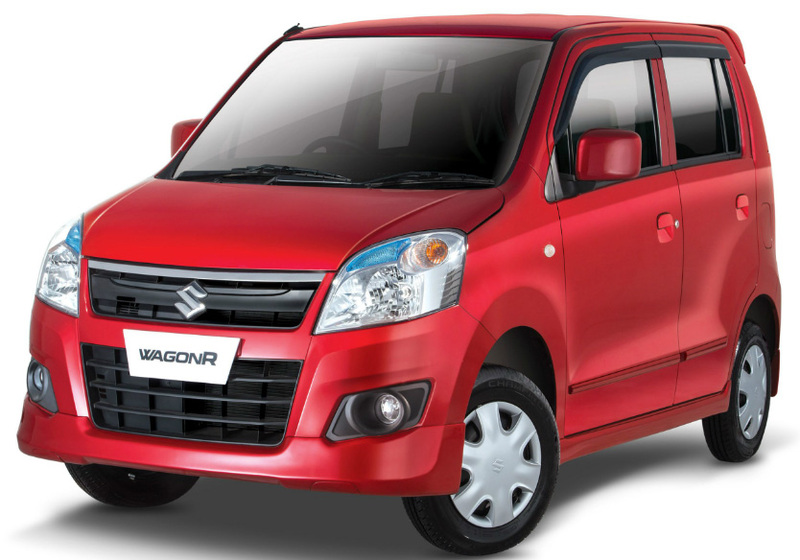 Suzuki Wagon R 2019 price in Pakistan is not officially confirmed by the Pak Suzuki officials for its consumers. 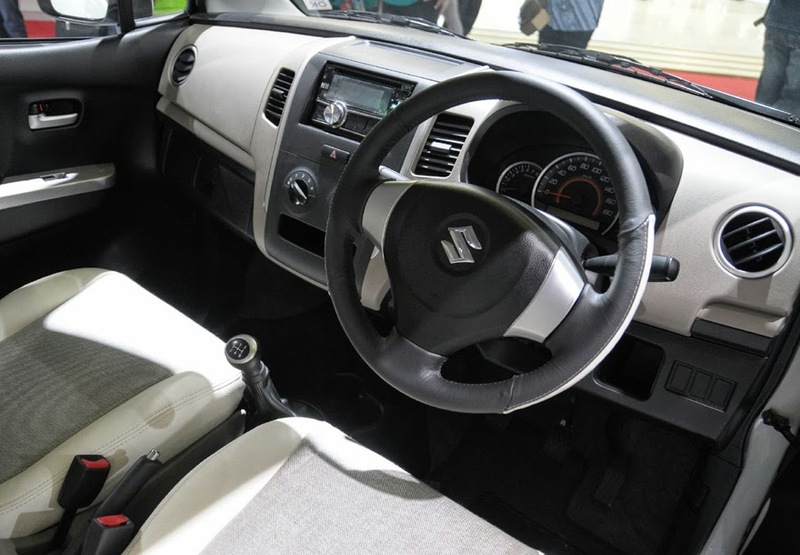 However, there are expectations regarding this upcoming new model Suzuki Wagon R price is that it will start from Rs.11,44,000 to Rs.12,34,000 depending on the variant. This hatchback is going to be available in two variants which include VXR and VXL. Suzuki Wagon R 2019 exterior is expected to be featuring familiar Suzuki Pakistan hatchback design language. At the front, you get to see a pair of large trapezium styled side swept headlights, trapezium air intake, dual standard circular fog lights and a trapezium grille with a chrome accent. At the rear, you get to see a standard hatchback tailgate, roof spoiler, and stacked rectangular vertical side swept taillights. All the two variants of this hatchback by Suzuki Pakistan will be featuring an identical design language. The overall exterior of this hatchback is quite familiar to the Japanese design hatchback Wagon R.
Suzuki Wagon R 2019 interior will be featuring the use of black and beige plastic trim pieces. The rear and front seats will be covered with high-quality fabric. The standard interior features which are going to be seen in this hatchback include power steering, air conditioning, and 2-speaker audio system with the support of USB, CD, and AUX. The interior features which will be seen in the high-end variant include power lock doors, front fog lights, power windows, and folding rear seats. The overall interior of this hatchback features a decent amount of space both at rear and front with its extravagant exterior dimensions. Suzuki Wagon R 2019 is going to be powered with 1.0-liter inline-3 DOHC engine which is mated to 5-speed manual transmission. This engine has the capability to produce 67bhp at 5000rpm. It will be giving a fuel economy of 12-15kmpl respectively. 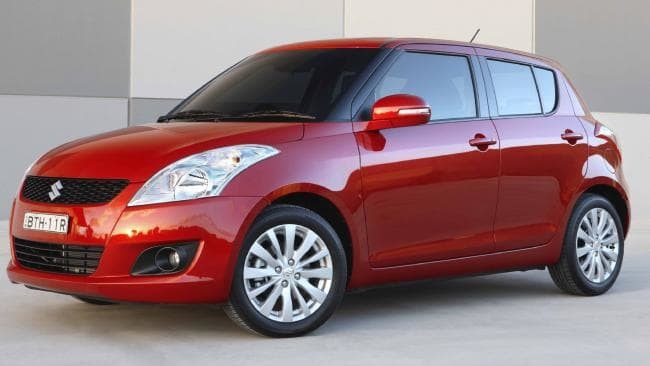 Suzuki Swift 2019 price in Pakistan is not announced till date by the Pak Suzuki authorized individuals. However, there are rumors in the automotive industry regarding Suzuki Swift price is that it will range from Rs.14,75,000 to Rs.16,11,000 depending on the variant you prefer to buy. This hatchback will be available in two variants which include DLX Automatic Navigation and DLX Navigation. Suzuki Swift 2019 will be featuring an innovative and appealing design language. At the front, you get to see sharp sleek upswept headlights, rectangular air intakes, circular fog lights and a small rectangular grille with chrome accents. At the rear, you see trapezium styled upswept stacked taillights and a standard hatchback tailgate. All the two variants of Suzuki Swift will be featuring an identical design language. The overall exterior of this hatchback is innovative and well-proportioned, which will surely help it to rank on top of all other hatchbacks available in the industry. Suzuki Swift 2019 interior will be featuring black plastic trim pieces. The rear and front seats will be covered with high-quality fabric. The standard interior features which will be seen in DLX Navigation variant include power windows, navigation, air conditioning, power steering, power lock doors, Alloy wheels, front fog lights, ABS braking, and a stereo speaker sound system. 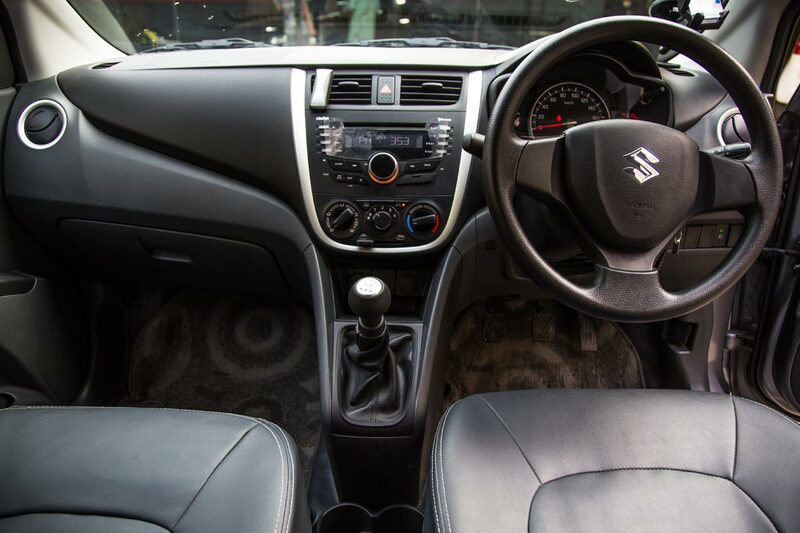 The overall interior of this hatchback is spacious and have the capability to provide an ample amount of refinement. Suzuki Swift 2019 is going to be powered with 1.3-liter 16 Valve DOHC inline-4 engine which will be mated with 5-speed manual or 4-speed automatic transmission. The engine has the capability to produce 92bhp at 5800rpm. Moreover, it can give a fuel economy of 12-15kmpl. Suzuki Ciaz 2019 price in Pakistan is still a mystery for the consumers, who are the huge fan of this compact design sedan by Pak Suzuki. 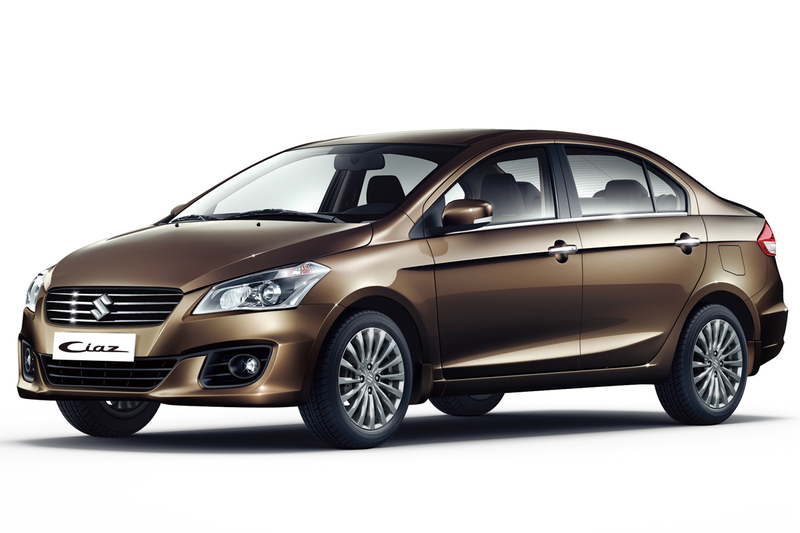 Though, there are rumors in the automotive industry regarding Suzuki Ciaz price is that it will be Rs.18,59,000 to Rs.19,99,000 depending on the variant which you prefer to buy. It will be offered in two variants which are Manual and Automatic. Suzuki Ciaz 2019 will be featuring an appealing and unique design language. At the front, you will be seeing a massive hood, 4-slat chrome grille with Suzuki logo “S” badge in the center and stylish trapezium styled headlights. At the rear, you get to see trapezium styled side swept taillights, a chrome piece running the length of the boot lid and a massive sporty rear bumper. The overall exterior of this subcompact design sedan by Pak Suzuki is going to be appealing, which will help it rank on top of all other known brand subcompact size sedans in the country. Suzuki Ciaz 2019 interior will be featuring polished silver and black plastic trim pieces. It will be featuring an ample leg space both at front and rear. The standard interior features which will be seen in this sedan include air conditioning, power door locks, power windows, 2 airbags, tachometer, and 4-speaker stereo audio system. The overall interior of this sedan will be offering an ample amount of comfort and noise insulation with top build quality. It will be powered with 1.4-liter 16 Valve inline-4 DOHC VVT-I engine which is mated to 5-speed manual transmission. The engine has the capability to produce 91bhp at 6000rpm and a torque of 130NM at 4000 rpm. This subcompact design sedan will be giving a fuel economy of 12-15kmpl in city and up to 17kmpl on highways. Если вы захотели получить быстрый займ, вам нужно определиться с МФО, где оптимально взять займ online. Сейчас не все компании предоставляют быстрые займы. Если вы желаете получить мгновенные займы, вам нужно просмотреть каталог МФО, которые предоставляют займы на выгодных условиях. На все-займы-тут.рф находится перечень компаний, которые предоставляют быстрые займы людям. На ресурсе можно найти разные компании, прочитать отклики и определиться с условиями займа. Большое количество организаций предоставляют средства на нормальных условиях. Получить займ реально в наши дни с паспортом. Для того, чтобы клиент мог получить онлайн займ надо выбрать МФО, изучить условия займа. Каждый клиент попадал в положение, когда деньги нужны очень срочно. Близкие люди не всегда могут помочь в финансовом плане. По этой причине необходимо изучить шанс взять online займ на карту. Если вы хотите оформить себе займ 10000 рублей срочно на карту без отказа , вам нужно выбрать условия. Если вы честный заемщик, финансы будут переведены вам в моментальные сроки. Получить деньги вы можете в рублях на конкретный срок. Надо подчеркнуть, что сервис гарантирует максимальную конфиденциальность. На ресурсе собраны МФО, которые всегда идут клиентам навстречу. Новые лица также не будут ощущать какого-то дискомфорта. Лояльные условия кредитования также существуют для многих людей. У вас есть возможность получить микрозаймы быстрее, чем это проходит в банках. Вам не нужно собирать документы. Моментальные займы – универсальный выход, если вам срочно потребовались финансы. Для получения денег нужно заполнить анкету на портале МФО. С вами моментально свяжется администратор и обсудит все детали. Если вы не знаете, где можно найти каталог лучших МФО, можете смело просмотреть его на ресурсе. Лучшие микрофинансовые организации есть на ресурсе. У всех МФО есть техническая поддержка. Получить займ можно на банковскую карту любого банка. Вы можете также получить средства за 10 минут без лишних вопросов от банковских сотрудников. После того, как ваша заявка будет одобрена, вы получите подтверждение. Более 90% заявок получают одобрение. Оформить мирозайм можно даже через мобильный телефон. Для этого понадобится иметь выход в интернет. Также вам потребуется паспорт и банковская карта, куда вы будете принимать средства.